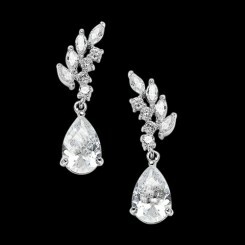 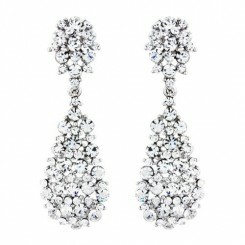 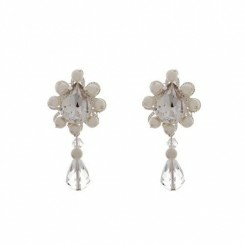 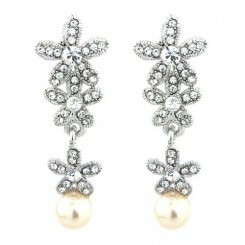 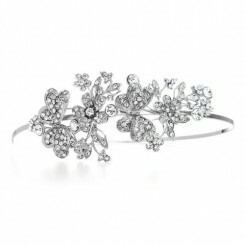 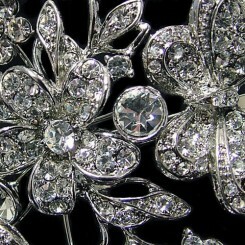 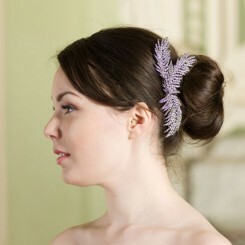 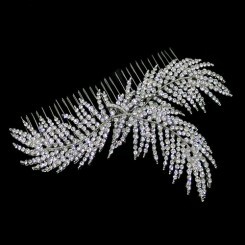 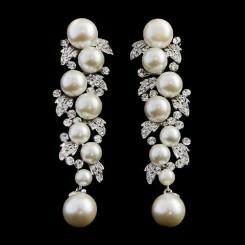 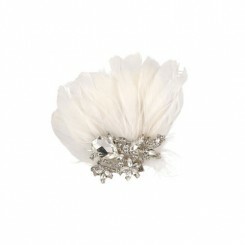 Our sensational Vintage Chandelier Wedding Earrings make a perfect glamorous statement! 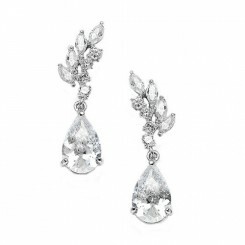 These gorgeous earrings feature a filigree-style scrolling design decorated with glittering crystal diamantes with a large faceted pear cut crystal as their main focal point. 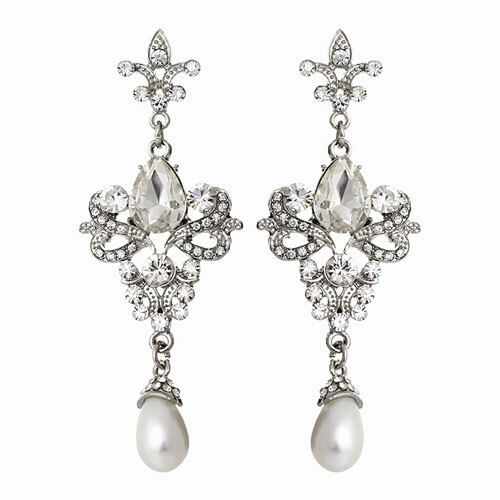 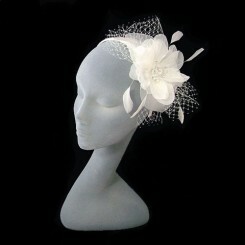 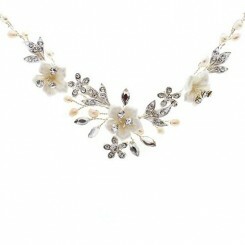 The pear cut crystal is then mirrored by the classic ivory pearl drop suspended beneath. 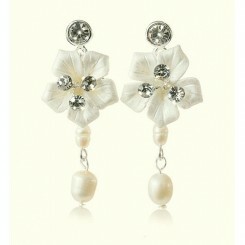 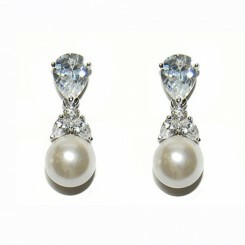 These stunning earrings are for pierced ears and measure approximately 7.5cm/3 inches long. 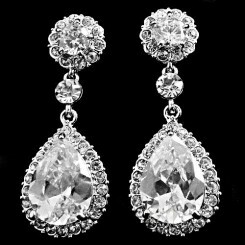 Our Vintage Chandelier Earrings look fabulous with hair swept up in an elegant chignon or sleek bun and accentuate a feminine neckline.